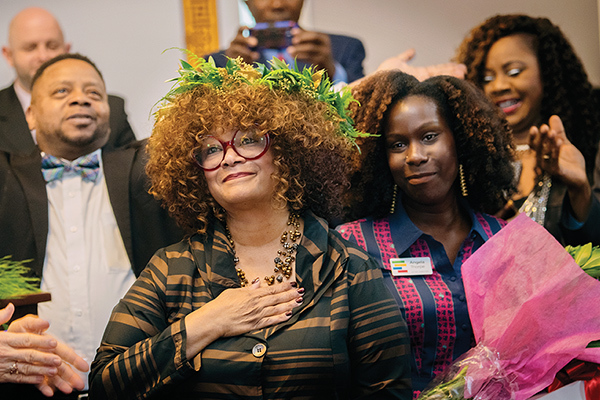 Jaki Shelton Green was inducted North Carolina’s ninth Poet Laureate on Monday, Feb. 18, at a ceremony in the North Carolina State Capitol. Jaki Shelton Green is the first African American and the third woman to serve as the state’s ambassador for poetry and the spoken word. Green spoke and read two poems.